This site is of those where professionalism rules and I likes that. can u upgrade the processor on this computer ? 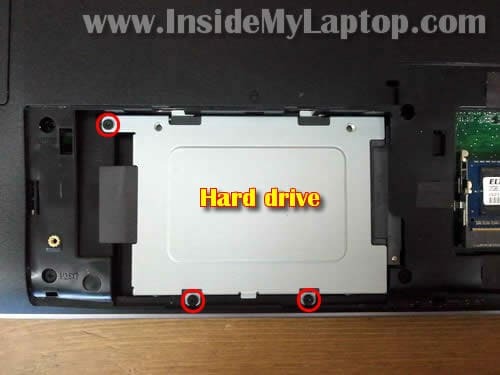 Hi, Is the procedure to repair the k60 series notebooks similar to this guide? 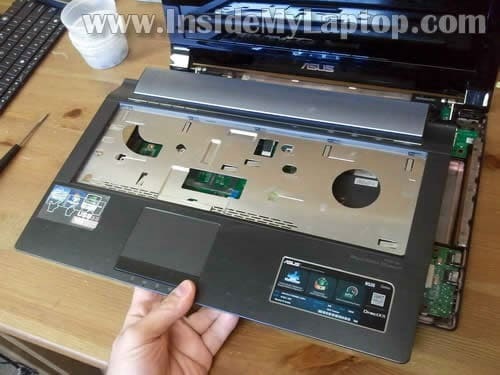 Asking about Asus N53S laptop? Most likely you can. If you google “Asus N53S specs” you’ll see that many of them cove with Core i7 processor. I’m not sure if all steps will be exactly the same but probably very similar. Hopefully both guides will give you the idea how to take it apart. Thank you! I have no words to say how much you helped me! My notebook is alive again! the right speaker have problem sometime sound like “crack” but go back normal again in hour, what must i do? Test your laptop with headphones. If the right headphone speaker also has same intermittent “crack” problem, this could be audio card/motherboard issue. 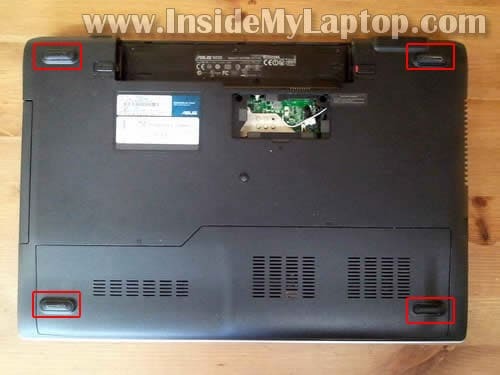 If headphones work properly and the problem appears only with the laptop speakers, most likely the speaker itself going bad. You’ll have to replace it. In the step 2, before you remove the small cover, there is a screw on the side (in the side wall of battery bank) needs to remove first. Otherwise you will damage the cover. Hi, my Asus Laptop N53S that i bought only two months ago is acting very weird since last week. It’s whole body is like a sound mic. Wherever i touch, it feels like I am touching a mic and my touching sound is coming from the speakers. I also noticed that Speakers at full volume aren’t loud enough like they used to be. The mic noice in the laptop body is very annoying and i always have to put the volume low or mute. Please help me out. Thank you. Anyone can confirm that this cover has a screw on the side? The mic noice in the laptop body is very annoying and i always have to put the volume low or mute. It’s possible the microphone volume turned all the way up. Click on Sound in the Control Panel. Click on Recording tab and then in Internal Mic. Check Internal Mic volume level. Turn it down and test the laptop. 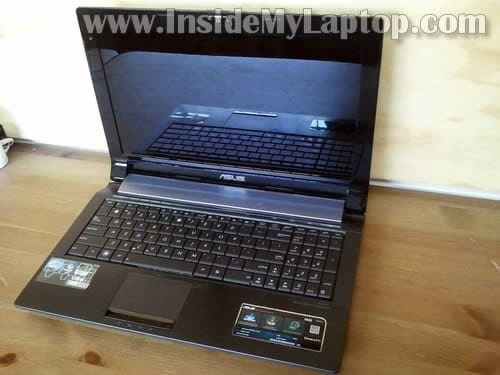 Yes, my Laptop is Asus- N53S, i7, 16GB ram, 1TB Hard Drive, Windows 7 and MB Ver. :N53SV-BH71, has a screw inside the battery place on the side of the wall. 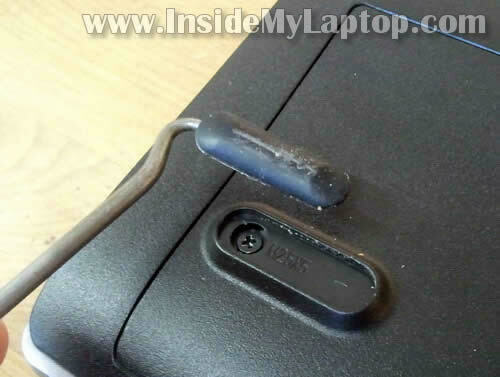 I didn’t try to open the back cover because the laptop is under warranty but that screw is defenately there and its attatch to the hinge of that back cover. Thank you SO MUCH! I took the power board apart and fortunatelly I just had to solder the original jack again (no need to buy another, in my case) and my laptop is working perfectly! 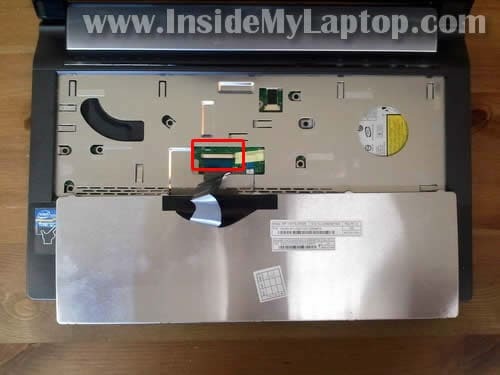 Just a small note, on Step 17 there’s a screw just above the touchpad, kinda hidden under a silver stripe thing.. you won’t be able to lift the top cover if you don’t remove this screw. Thanks for mentioning that screw. I almost missed it. what if I only wanted to take out the grill of the speakers in order to clean it ?? do I have to take the whole front cover off ?? 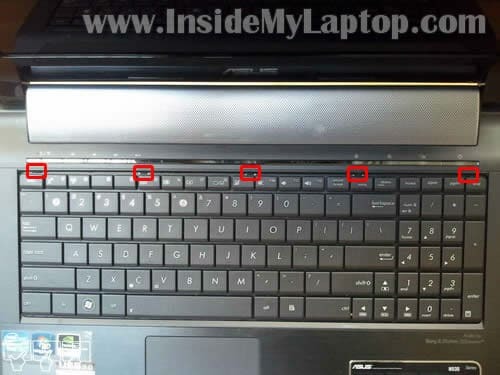 because I’ve noticed from the photos that the grill is part of the front cover..
i have a problem with my asus n53 ,today my laptop become wet by water, and i see that the back of keyboard has no way to drop water , plz help me how i can fix this? 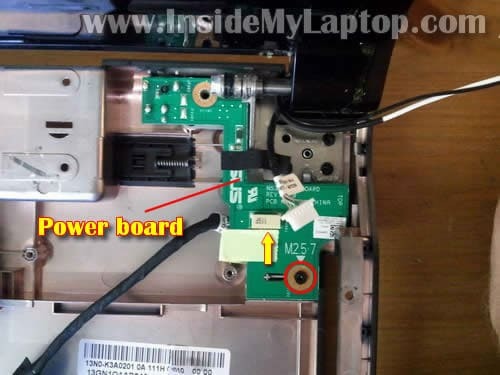 can it be possible no water drap in mather board?become patient and take my laptop in light can help me to fix? plz help me and tnx 4 ur great website…..
ohhhhhhhh thank you. finally some awesome person cares. Thank you very very much – it worked perfectly! Like someone before me – I repaired the broken mini jack plug by soldering a copper wire to the mini jack center pin and around the edge of the print to where it is originally soldered. Asus N53J there’s no screw here, just pull up the small cover. This laptop can upgrade full HD monitor ? (from 1366×786 to FULL HD led backlight (1920 x 1080)” ? I also have the headphone jack broken. Is it as easy to fix? Do you know which part I should buy and where? Hey, when I want to remove the cover it seems to be stuck somewhere by the speaker part. I removed every screw! should I use force or do I have to take care of something? By the way, I accidently broke one of the white locks of the power ribbon cable and it’s not working now, atleast, I can’t put it in. Maybe with the top cover removed I can but its hard.. 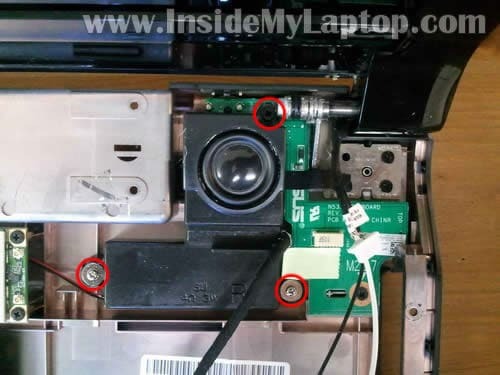 I believe the headphone jack is located on the USB/audio board shown in the step 23. If the jack is broken I think you’ll have to replace the entire board unless you can find the headphone jack itself and replace it. Replacing the headphone jack requires soldering skills. I’m not sure where you can buy this part. As noted above, there is an 8th screw on step 16, under the silver/foam strip at the bottom edge. You don’t seem to mention removing the 5 screws in the battery compartment, which do need to be removed. Also, when re-assembling please pay attention to the placement of the DC power board–my first time putting it back together I misaligned the switch with the external wireless switch cover/doohickey and had to take it all apart again because I couldn’t turn my wireless on! So make sure the switch moves before putting the whole thing back together. Thanks again for the instructions! I’m sure I could have done it without, but it’s very nice to know how it’s all put together BEFORE tearing it apart so I don’t end up snapping some piece of plastic because I forgot to remove a screw or didn’t know where or which way to pry things open. 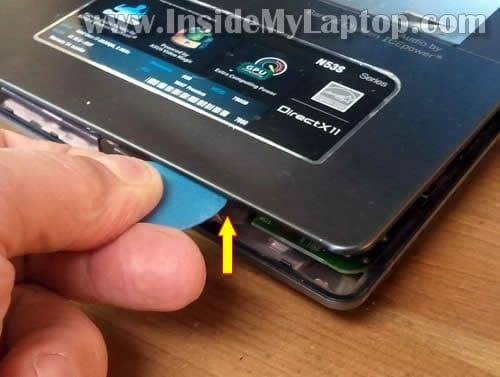 I did everything as explained here and stoped juste before disconnecting the keyboard, put everything back in place and now the screen will not turn on 🙁 what to do??? @ Marcleduc Im having the same problem anyone have a fix? I tried replacing the wifi card and now the screen isnt turning on. Någon som vet var man kan beställa/köpa ett nytt power board? So I have an issue that I’m not quite positive on. I replaced the part, and got it all back together and working again, but now my laptop seems to hover on charging, eventually dwindling to nothing and shutting down, rather than charging back to full. I’m wondering if maybe I messed up on placing the part correctly or something… or if maybe the part I used was a faulty one, or one for the wrong model. I use a n53s, and the part was for the n53sv if I recall… I double checked and compared parts to the one I was taking out, and the numbers matched and everything, so I would have thought it would work fine… But it isn’t providing enough power. Any ideas? There are a few screws I had to remove that you didn’t list though. two in particular under the first cover you had me remove. Thanks! Everything is now working perfectly on my computer. I soldered the new power jack on my self, but it took quite some time. I would recommend buying an entire power board instead of just the jack. It costs a bit more, but will save you the hassle of soldering. 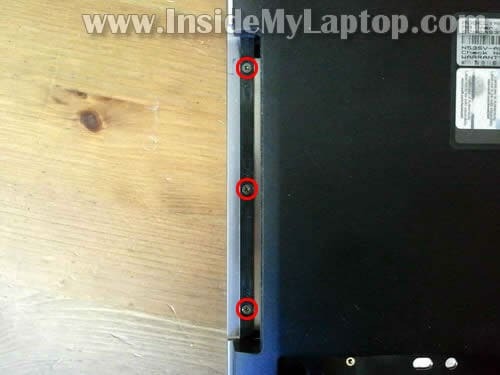 Also, as others mentioned here, there are more screws than shown that need to be removed. just a note of thanks for these instructions. what a lifesaver. My dc adapter seems like not working properly. Does anyone know from where I can buy it. I called asus and they said I need to replace whole mother board to fix it. like @ Marcleduc and @Jack, I replaced my wireless card and now cannot get the laptop to function. The lights turn on, but the screen doesn’t. Desparate for advice here, can’t find anything online. A fantastic description and illustrations. 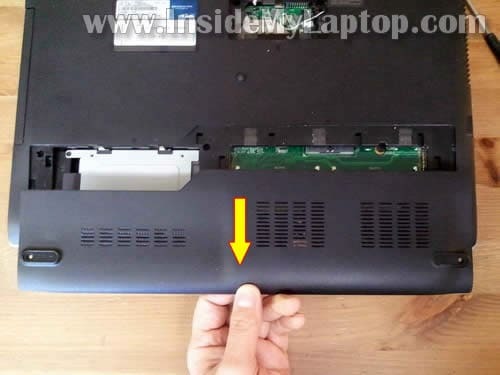 In addition to the above, you must remove the 5 screws from the bottom of the battery compartment. In step 16, there are 8 screws to be removed, rather than just 7. The 8th screw is located near the center at the bottom of the little square opening where you can see the circuit board. On mine, there was a small piece of foam covering the screw head. 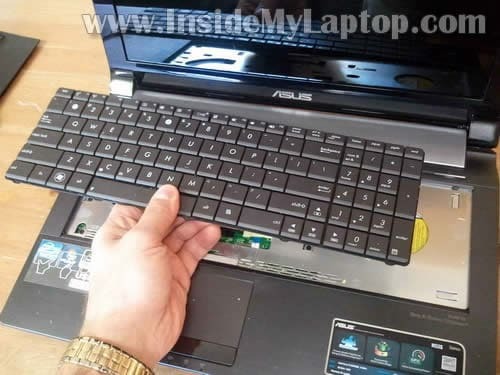 I performed this procedure (with the above additions) and my laptop is as good as new. Thank you, these instructions were great! Also thanks to other commenters who mentioned other screws not in the original instruction set. Man, Thanks for the tutorial!!! 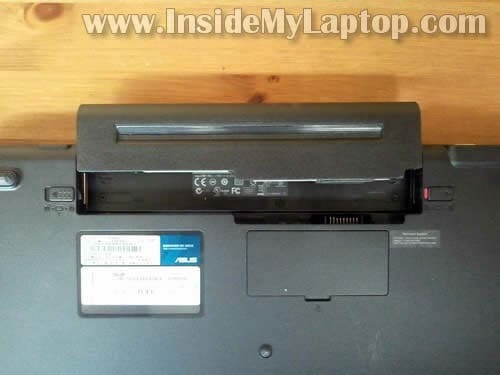 I used this clean my laptop and replace the wireless card for a Centrino Advanced 6200 AGN, but it doesn’t work. Now the device manager shows the ERROR 10. I want use this card to be able to use 5GHz band, but I needed to replace to de older card (Centrino 1000) because of the error. Someone knows how to resolve this??? 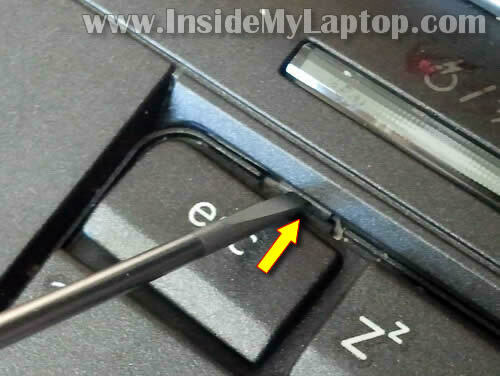 When I plugged in my laptop the other day, sparks came out the laptop’s power socket and it smelled like it was burning. It won’t turn on anymore and when I plug in the charger to the wall, the green light on the power brick is on until I plug it into the laptops power socket. Do yointhink this would be the problem or is it something different? Anyone have any info about the dip switch setting on the dc powerboard? Ok so I brought my Asus in a repair center and I got my power jack fixed. However, my wifi’s signal has become weak and I’ve been disconnecting to it frequently. Is it possible that the repairman did something or damaged the wireless card? I already asked the repairman about this, but he only said that the wifi is far from the charging port. I would ask him to double check if both antenna cables connected properly to the wireless card. The antenna cables shown in the step 24 – two green arrows. Maybe he forgot to connect one of the cables back to the card after the power jack repair. 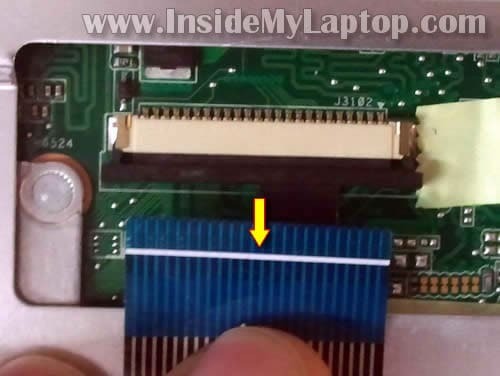 Those of you who have the problem where the laptop won’t turn on after putting it back together, I had the same problem but it turned out that my RAM stick (memory module, step 8) wasn’t plugged in all the way. You have to put it in at a ~30 degree angle, and push harder than you think do before it snaps in to place. Hi, thanks for your answer. I brought it back to the repair center and yeah, the antenna cable wasn’t properly attached. But, I have another problem .. today, the charger is properly plugged in to the laptop but after some time it will prompt that the laptop is in battery mode, and will then switch to ac mode without me doing anything. I just got it repaired last July 10. Is the power jack loose again? Hi, had the same screen-won’t-turn-on-problem as a couple of other guys. Is it possible that this is caused by the replacement of the DC-board? Can frying the DC-board black the screen pemanently? Anyhow thanks for a great guide. Ordered and replaced the power board works like a charm. Thank you very much for your useful guide. I was freaking out because everything was ok but wifi was out. 15 minutes later since I switched on the wifi started and now it’s ok.
Thx mate! Problem was solved within 30 minutes with your description and the DC power board. I left my AsusN53Sm at the repair shop for just this problem. They replaced the dc jack and soldered it to the board. Result: I can´t open my programs in windows 7 without the computer freezes up and I have to restart. I did that 12 times and then returned my laptop to the shop. There answer: something is wrong with Windows and they want to do a clean boot and reinstall windows. When I first started it up after repair I got a request that the computer wanted to reinstall windows and I called the repairshop and they told me to close the window. How did this happen? It worked perfect exept for the dc and now I have a useless computer. Do you have an answer to this mystery? Done. Except for those forgotten screws (anyone will notice easily) it’s been a 30 minutes repair. I re-soldered it. Works perfectly. Excellent tutorial! After PC Direct quoted me a price of $120, explaining they would need to special order the part, I decided to tackle the repair myself. Question. Rather than repair the jack I decided to purchased a new DC jack board. Is no soldering required? 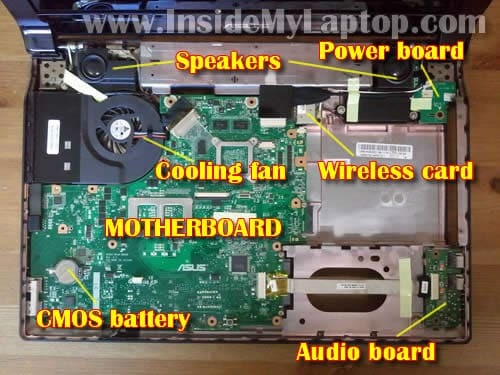 So how is the board attached to the motherboard? Thanks for the assistance. 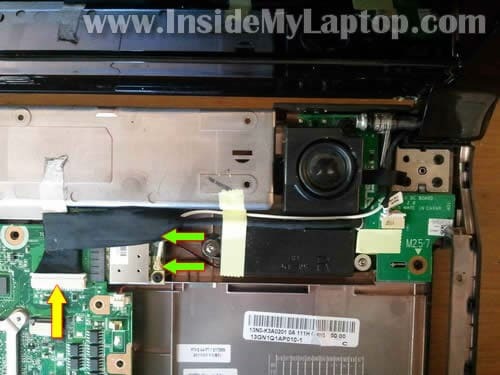 Without this tutorial I would never have attempted the repair, however I bought the board on ebay, installed it and now the laptop is recharging steadily. Just one question. 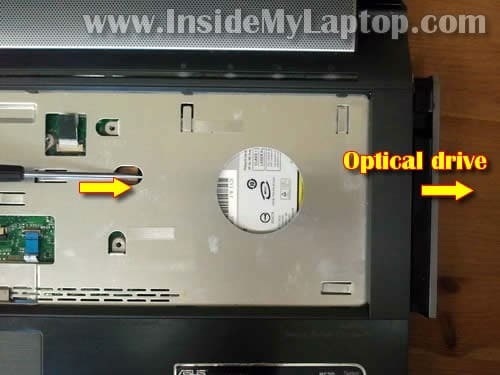 The indicator lights for CAPS LOCK etc are not working. Obviously something is not quite correct. At what step of the process am I likely to be able to fix this and what should I be looking for? Thanks for putting this guide together. My laptop was having power outs generating repeated Kernel 41 errors. Once disassembled the problem was identified as a problem with the connection of the main lead coming from the back of the power jack. Once resoldered everything was hunky-dory again. 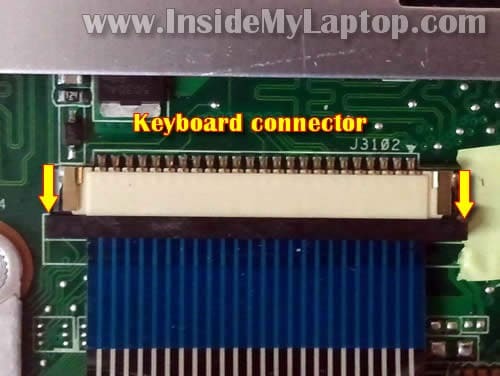 – Bad connection between the keyboard cable and motherboard. Try reseating the cable. – Failed keyboard. 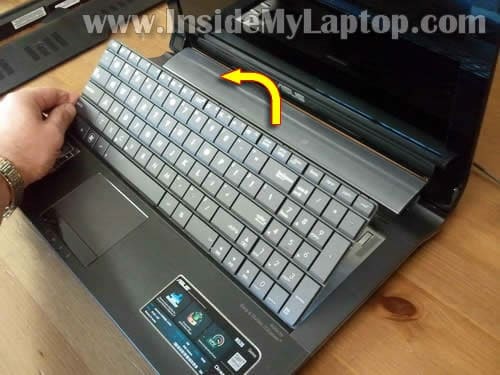 Try replacing the keyboard. 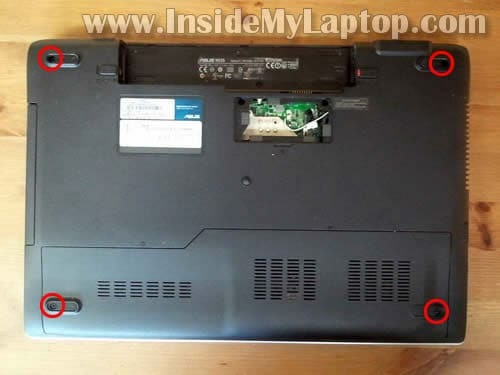 Hi, I followed your tutorial and some YouTube videos to perform a cleaning to ASUS laptop, however when I try to turn on the laptop seems to start but nothing appears on the screen (black) I removed BIOS battery, checked all cables but it does not work, Can you help to know what happened. Thanks so much for creating this guide and uploading it. Because of the clarity and the helpful comments of others I stretched myself and went through with it. 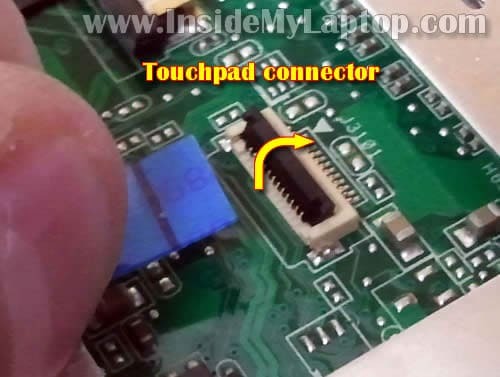 I made one mistake with the touchpad connector and snapped it, despite reading all the other instructions carefully, this different one took me by surprise, (I did not read the instruction carefully). No drama, I loath touchpads anyway and always use a wireless mouse. In my case it looked too difficult to work out what needed soldering and the jack had been loose for a year or so maybe from a cord being pushed against a wall or something, and a new little board was only 25 dollars or so. Probably took me an hour and a half all up, labeling screws in lids and writing little notes where I needed to, but I have it back together and it works Yea!!! thanks again and good luck with your works. Thank you. This made the repair really simple, and my computer works again. Is there any soldering required if I replace the whole power board? I’m not very confident with the soldering bit. I take my hat off to you, but I would not attempt this! Putting it back together would be a nightmare. I do simpler repairs. Q: Are Asus portable still as badly designed? This is such a common problem with them, it seems. I shan’t be buying another until I know they’ve improved the power connector. I tried to fix it but did not turn on, even when the battery is Charged. Do you think changing the dc board to a new, it works? Hi, I did the repair and replaced the power jack board 6 months ago. It has been working fine until last week and the old problem has recurred (constantly flipping between battery and AC mode when I move the laptop or have it sitting in my lap). 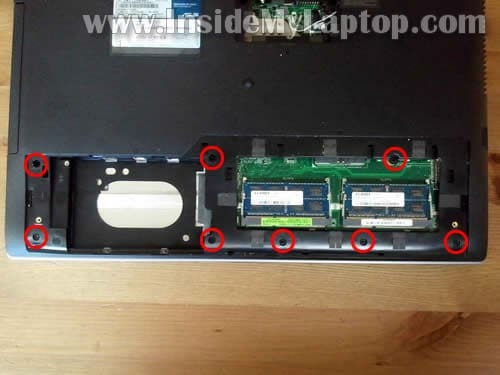 I have bought another board and plan to do another replacement, however is there anything else that could cause the problem that I should look for while the laptop is in pieces? This problem can be related to the DC jack or AC adapter. Test the AC adapter with a voltmeter. If power cuts off when you move the power cable, probably it’s bad adapter. Adapter seemed OK, so I replaced the power jack card. The new power jack seems to hold the input cable a lot more firmly – doesn’t move at all, so hopefully it will last as long as the laptop (3 + years so far, fingers crossed). Unfortunately I lost wi-fi somewhere in the process. Took it apart two more times trying to fix that but could see absolutely nothing wrong, so ended up with a $15 usb wi-fi to keep the laptop going. I would suggest that having some kapton tape on hand would be a good idea. A couple of pieces I have moved in the course of 5 dissemblings would no longer hold so I have had to do the best I can with getting the various cables and connectors held down. Thanks for this tutorial. 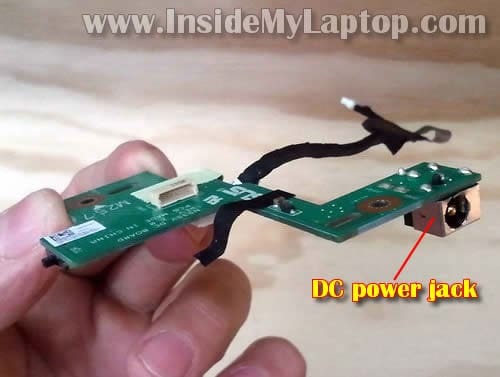 I have a similar problem: the battery does not charge any longer, and the DC adapter does not provide any power to turn on the laptop. I assume it is either the DC power jack or the power board. Isn’t it preferable to change the whole power board (especially if I am likely not expert enough to solder the power jack)? I am having the same problem too, slowly losing responsiveness to power jack. have to wiggle it and set it just right for it to power.. Laptop is still great and would love to get another good year out of it but i’m not sure whther to try soldering or just buy this $15 board off amazon. I thank you immensely for your instructions. I blamed the power problem as the result of falling when a small, fragile table broke under the load of the laptop. When inspecting the power socket, I believe the centre connection was broken as a consequence of stress from manufacturer. 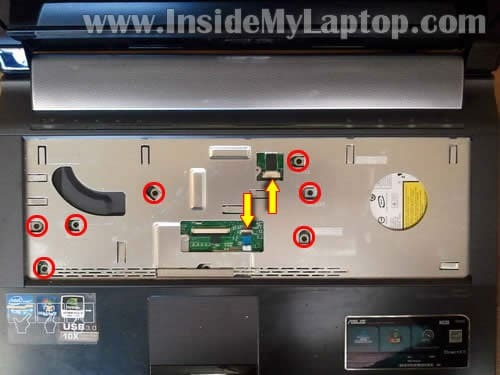 I called Asus service and was merely told the case was clicked as well as the screws after which I subsequently could see screws under the keyboard had to be removed, but with no obvious way to remove the keyboard. Unfortunately, once freed, only a few of the keyboard retainers were re-usable. I’m a retired computer and electronics tech and like my Asus N53SV but, after a disastrous upgrade to W10, this was not a pleasant way to spend many hours. With your carefully detailed pictures, it was the most easy notebook I fixed for a brother-in-law. Thank you very much! 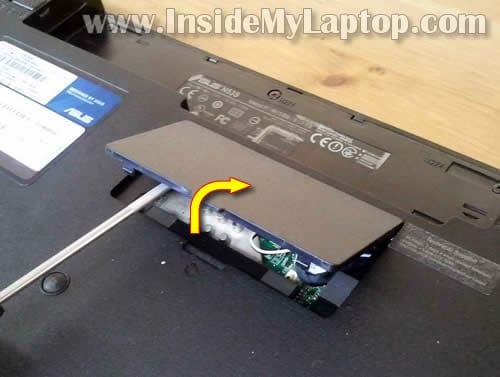 I just bought a new powerjack, followed your instructions and the laptop is working again! Costed me 20 dollar for a new powerjack and totally about 1,5 hour work. Thanks!